Half of the year has gone by and autumn is just around the corner which calls for some very interesting travel places to go to for enthusiasts. Places south of the equator are bound to get colder by this time so it’s best to travel to usually hot places when there’s a cool autumn breeze right after the summer heat. Places in the north are preparing for the colder seasons too, so tickets are much cheaper if you’re planning to take a visit before the winter season comes. Whether you’re taking a vacation from work or taking a personal ‘gap year’ holiday, you need to take note of these travel tips which you’ll need for every type of travel excursion. First and foremost, you’ll need a place to set your sights on. There are a lot of cool travel ideas by location that range from the forest trails of South Africa to the sights of Sydney. 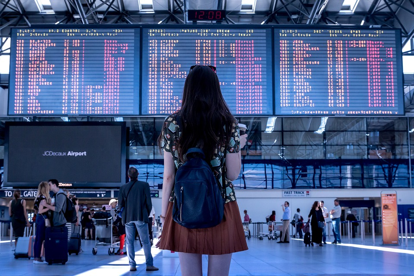 Depending on where you are, planning ahead is your best plan of action as booking your flight months in advance can get you some cheap deals and trade-offs on flights and booking services. Once you have the trip set, make sure you have all your documents prepared. Certain countries don’t need a visa for travel, but others will require a visa application along with other requirements depending on the country. Together with important documents like passports, IDs, and enough pocket money, be ready to pack your essentials: phones, gadgets, and just enough clothes for the duration of your trip. You’ll need a bit of extra luggage space for souvenirs of course. Though the thrill of taking a vacation is being in an unknown land, it can be more of a chore than a magical experience. Getting lost and not knowing where to go can really take up your time and might leave you more tired than amazed at being a tourist. Don’t take the tourist pamphlets for granted as they often contain important information such as tourist information centres, currency exchange centres, restaurants and hotels, and local bus routes. Be open to learning a new language. Knowing simple phrases can be a great help to navigate on your own if you ever find yourself getting lost without a map. One of the best things about planning a trip is being able to go to multiple places based on your own rules. You can take that trip from hiking in Cape Town to Kayaking at Kerala before you take a plane back home. Finding new places once you get there is also one of the joys of travelling. Being familiar with the places you go to makes it easier for you to go back a second time to see more of the sights and to find more of the places that you couldn’t get to on your first visit.